Two weeks ago in Basel, at the Shift Festival, I saw some material about the Cybersyn project that struck me as fascinating. 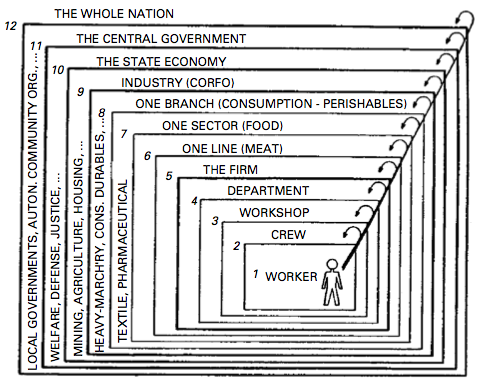 “Project Cybersyn was a Chilean attempt at real-time computer-controlled planned economy in the years 1970–1973 (during the government of president Salvador Allende). It was essentially a network of telex machines that linked factories with a single computer centre in Santiago, which controlled them using principles of cybernetics. 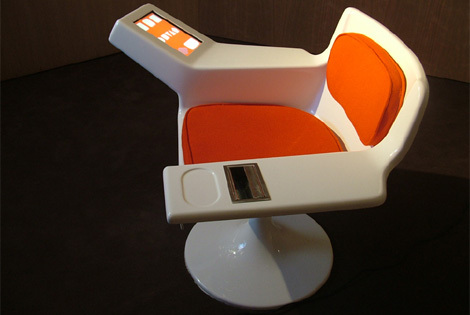 The idea was to have so-called “algedonic meters” in people’s home, i.e. warning public opinion meters that would be able to transmit Chilean citizens’s pleasures/displeasures to the government or television studio in real time. The government would then be able to respond rapidly to public demands based on these information, (”rather than repress opposing views” as proposed by Stafford Beer). 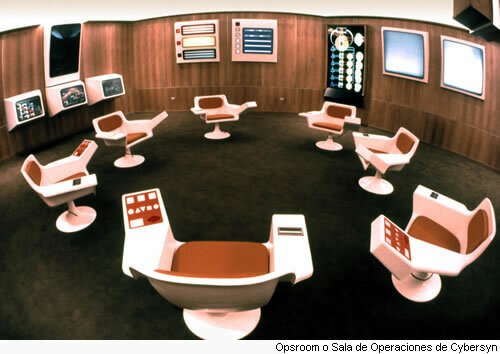 “I think the image of the operations room looks like something out of ‘Star Trek’or 2001. Whenever I show that image, people are stunned. Most people wouldn’t associate that futuristic image with the Allende period in Chile. 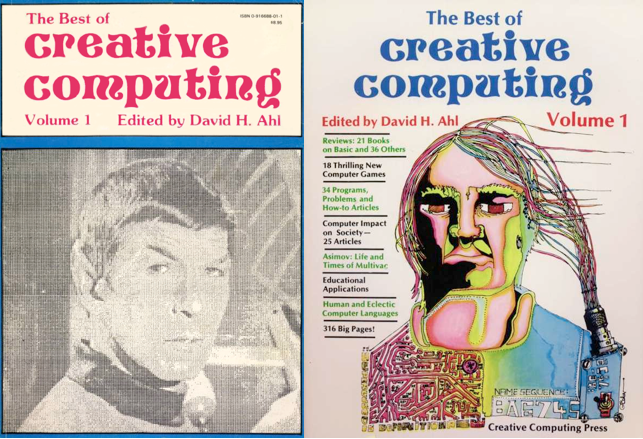 Recently ran across this curious magazine called “Creative Computing“, one of the earliest covering the microcomputer revolution (published from 1974 until December 1985). Readers interested in this can have a look at the some articles. With titles such as “Is breaking into a time-sharing system a crime?”, “Why Supermarkets Are Going Bananas Over Computers”, “Videodiscs - The Ultimate Computer Input Device?” or “How Much Privacy Should You Have?”, the magazine is definitely an intriguing read today. The topic addressed there ranged from artificial (and “extra-terrestrial”) intelligence, computers in education, languages and programming theories, BASIC scripts, upcoming technologies, games and fictions (with “art and poetry”). Why do I blog this? sunday afternoon hops on the internets always lead to curious material. Possibly useful to show students some examples of computer culture history. 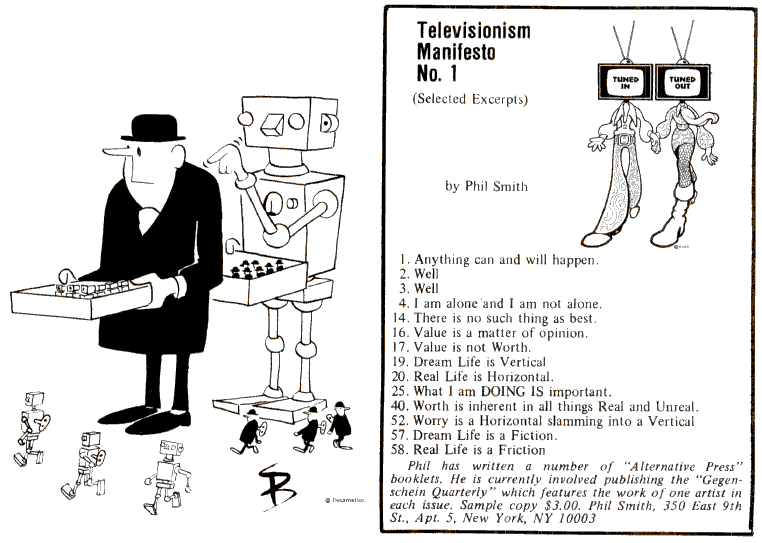 While we mention this old mag, don't forget to visit also Radical Software, which is A must see for media art / computer art history from the late 60ies - early 70ies (with papers by or about Buckminster Füller, about Norbert Wiener and Cybernetics, about Mc Luhan --of course...--, from Nam June Paik and other video art pioneers, with drawings by Ant Farm, statements about "media ecologies", etc.). And of course, don't forget the Whole Earth Catalog from the same period. Dead drop letter boxes refer to secret locations sometimes used by spies to exchange items or letters without requiring them to meet or use official postal services. As part of his ongoing residency with EYEBEAM in New York City, the artist Aram Bartholl has updated the concept for the modern age. 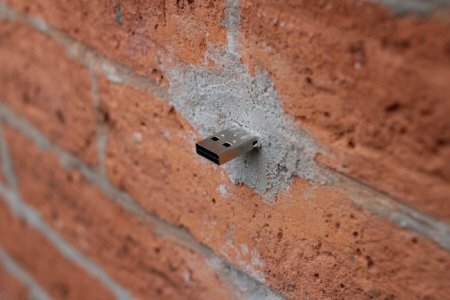 His Dead Drops project involves placing USB flash drives around the city; fastening them to walls, curbs, and buildings; and inviting strangers to plug-in their laptops and share their favorite files or data. 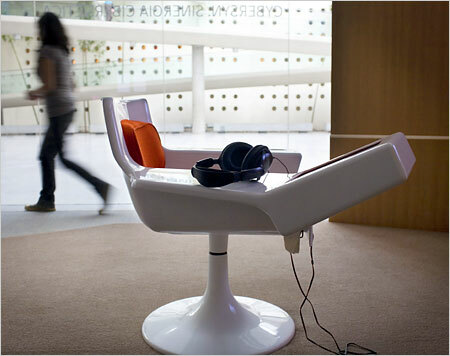 The end result, as Bartholl explains, will be an "anonymous, offline, peer to peer file-sharing network in public space." 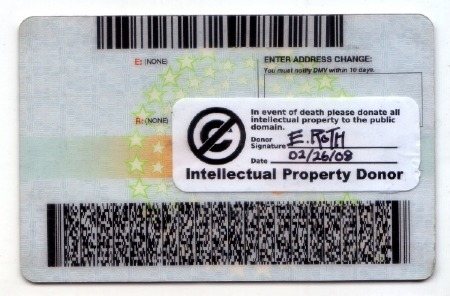 It will eventually include a documentary film about the process and files shared, as well as a map and a "how to make your own dead drop" manual. And, ultimately, it will serves as an object lesson in what happens when strangers share information in public. 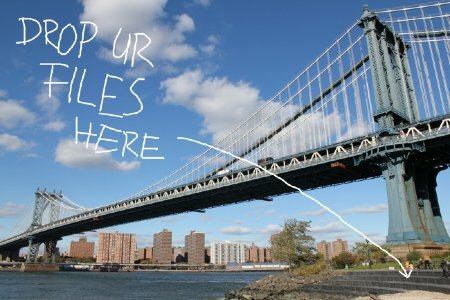 All New York City locations are listed here.